I definitely go through stages with my perfumes, where I have a select 1 or 2 from my collection and I use those constantly. 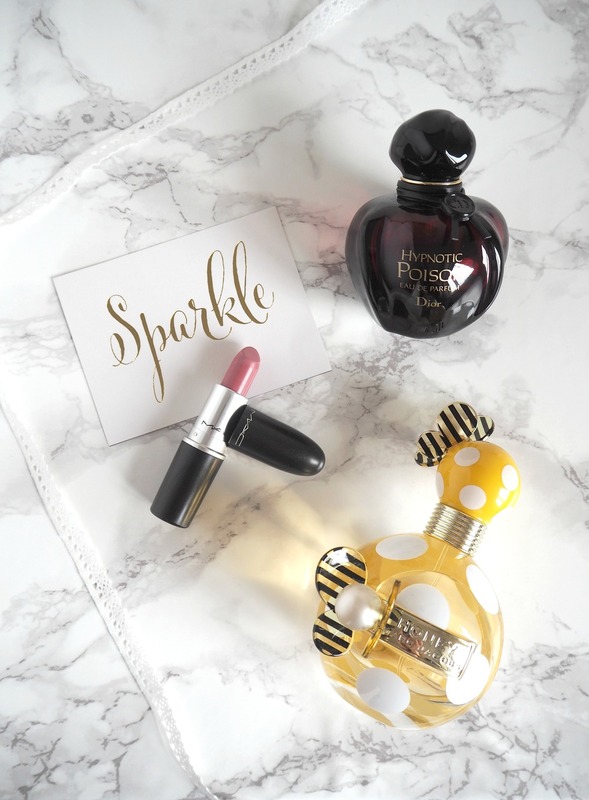 And this winter it is my Dior Poison and Marc Jacobs Honey, and yes, they smell as great as they look. Marc Jacobs are definitely my favourite brand of perfume because I absolutely love all of them, and I'm pretty sure that I have owned all of them at least once. They are slightly on the more affordable side as well & that can never be a bad thing. This one is at the top of my love list at the moment, because it's not too summery but it still has a really nice, sweet smell to it. I do think that all of the Marc Jacobs Perfumes are pretty summery, including this one, but not as much I don't think. I think that this also smells very fresh which is my favourite kind of smell and sort of happy in a strange way! I feel like the only way that I can describe this perfume is seriously delicious, and maybe a little bit seductive because it smells so delicious?! Whenever I have worn this perfume, it gets complimented every single time. If you don't have this perfume, then I highly recommend that you put it on your next wish list because it just smells so, so good. I feel like this perfume is way too good to wear every day, so I normally wear this if I'm going out for dinner or if it's a special occasion. It smells sweet and fruity, but not like the Marc Jacobs perfume, it's definitely more of a bitter sweet smell. I'm sure that there's a hint of vanilla (my favourite) in there as well, but don't quote me on that! It's quite strong and lasts forever on your skin, so you don't need to spray a lot at all, which is definitely a bonus as it is a slightly more expensive perfume than I'm used to.